[A] Where is the Tower of Joan of Arc? [Q] Where is the Tower of Joan of Arc? While cities like Paris are wonderful to visit on your travels to France, there is plenty more to experience when you venture out and explore the French countryside. From world-renowned wine regions to the ski resorts of the Rhone Alps, you’ll find countless French towns that bear resemblance to your favorite fairy tale or Disney movie. 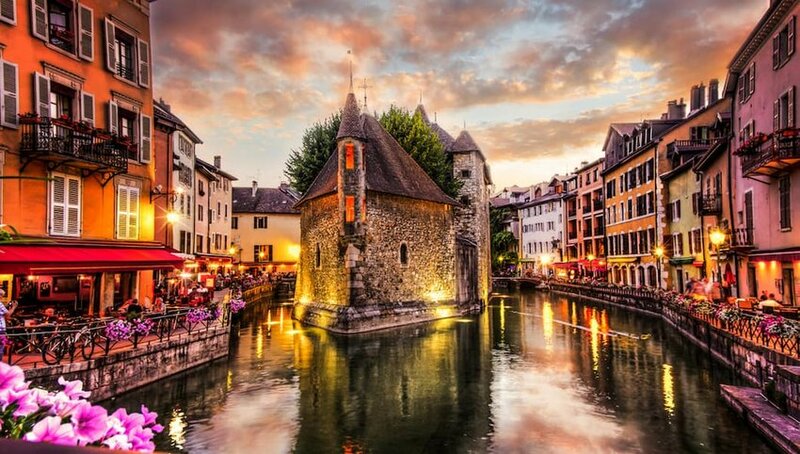 Imagine a medieval town on a lake, surrounded by snow-capped mountains in the background, and you have Annecy. This jaw-dropping alpine spot is renowned for its old town, or Vieille Ville, that has winding canals, cobblestone streets and beautifully colored homes. Château d’Annecy dominates the lakeside landscape and was once home to the Counts of Geneva. Spend the day in Annecy cycling around the lake or rent a paddleboat instead. Be sure to visit the Pont des Amours, or Lovers’ Bridge, where legend states that if two lovers kiss on the bridge, they will stay together forever. 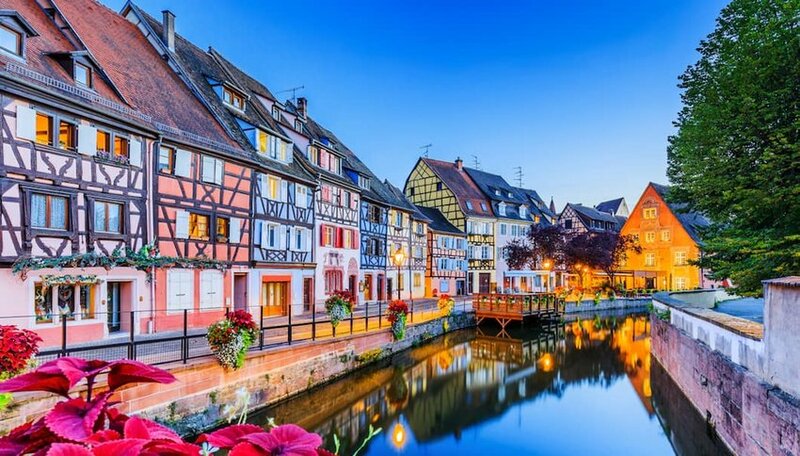 Located in the Alsace region, Colmar feels like it stepped right out of the pages of a childhood fairy tale. The picturesque old town immediately draws you in with its flower-lined canals, brightly colored medieval buildings and cobblestone streets. The Quai de Poissoniers, nicknamed Petit Venice, is where you’ll easily fill up a memory card snapping Instagram-worthy photos of the half-timbered houses. These buildings date back to the 14th century, and legend has it the bright colors signaled the profession of the inhabitants — fisherman, butcher, etc. Be sure to grab a table along the canal, have a glass of Alsatian wine and star in your own fairy tale — for the day at least.